Every maker has a story. Be a part of Wedding Dress Fantasy's story by placing an order, leaving a review, and seeing your review appear here. 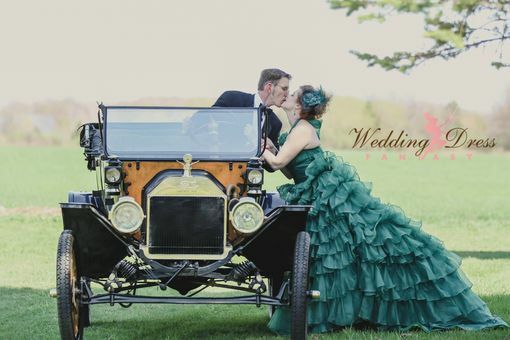 This showstopping Green Wedding Dress from WeddingDressFantasy is created with a Couture construction and is available in many colors. 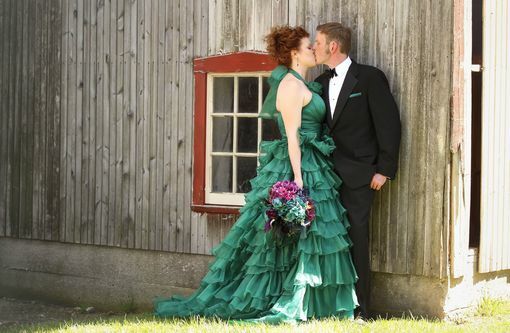 The gown is made with many layers of fabulous Organza. Bodice features vertical ruching on the bust with horizontal waist ruching. You will absolutely love this gown! This gown can be customized for an additional fee. All of my gowns are fully lined, boned, double interfaced and have bust cup support. Plus sizes are additional. Available in Zipper Back or Corset back ( + $75 additional). 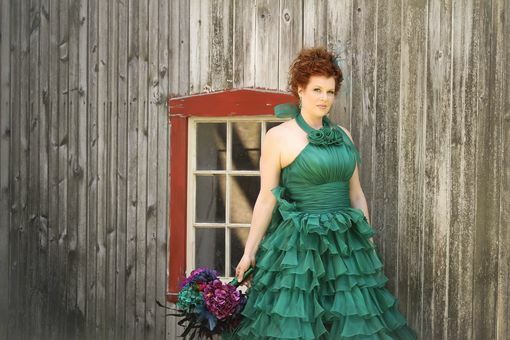 This gown takes 5-6 months to complete, but is available sooner for an additional fee depending on your wedding date. 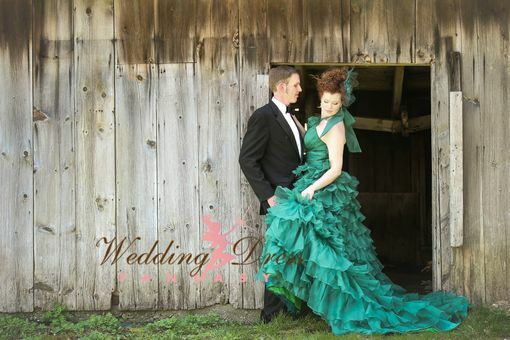 If you don't like this design, please ask about having me create a custom designed gown just for you. Simply send me a message with your request including a photo or sketch of your dream gown, along with any other special requests. I will also need your approximate size and wedding date. I will then reply with a price quote for you. 5 STAR RATED on Wedding Wire. Winner BEST BRIDAL SALON - 201 Magazine, Bergen County NJ. Thank you so much for taking the time to visit my store.